Arnaldo Caprai was born in 1933 in Turin. His father was a railwayman and his mother, a housewife, was deeply committed to social work. After some temporary jobs, at 22, he started working as a trousseau and linen salesman in central Italy carrying on his activity with passion and competence. A job which may look simple, but is actually very demanding, especially if carried on with autonomy and spirit of enterprise, qualities which spurred him on to planning and building an integrated textile production chain, 40 years ago now. 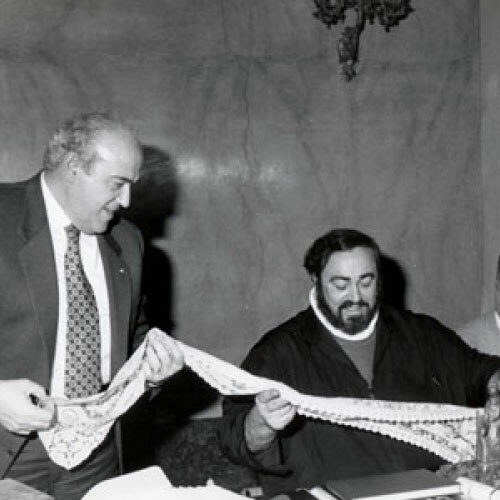 He was ahead of his time and made a "courageous" choice which enabled the firm of Arnaldo Caprai to create a complete and autonomous manufacturing process covering raw fibre harvetsing, spinning and weaving, dyeing and production, all within the Group. This was not all: the far-seeing Arnaldo Caprai also created a veritable style office where expert designers base their work on the study of antique textiles, embroidery and lace to develop products that celebrate the extraordinary masterpieces of the past whilst reinterpreting them for everyday use. A choice that guarantees tight control over use of raw materials and development of new ideas, down to final distribution to customers. So in 40 years Arnaldo Caprai has managed to create something unparalleled and unique in which every single detail - from spinning, weaving, dyeing and embroidery, to styling, hand painting, manual assembly of lace, quilting and packaging – goes towards creating extraordinary products. Further, its transparent indication of guaranteed production origin earned Arnaldo Caprai the traceability seal instituted by the Union of Italian Chambers of Commerce. At the same time as this intuition regarding the textile production chain, in the ‘70s, the entrepreneur started to show great interest in lacework, a passion that led him to collect the first pieces of the future museum, but also to understand that high quality lace could become the key to the company’s success. 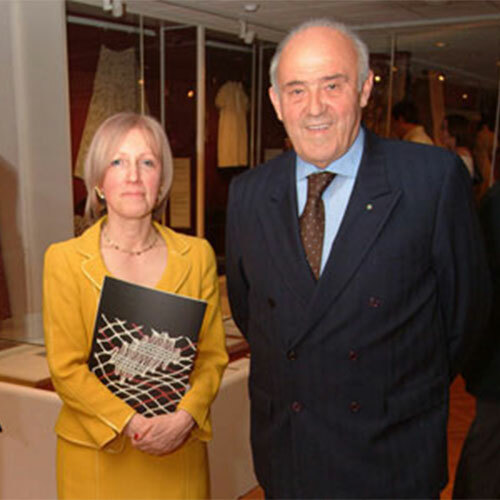 A success which is firmly based on his business philosophy and values, a commitment finding its highest expression in the company’s Museum Collection (www.museocaprai.it), which with over 24,000 pieces is considered the largest private textile collection in the world. 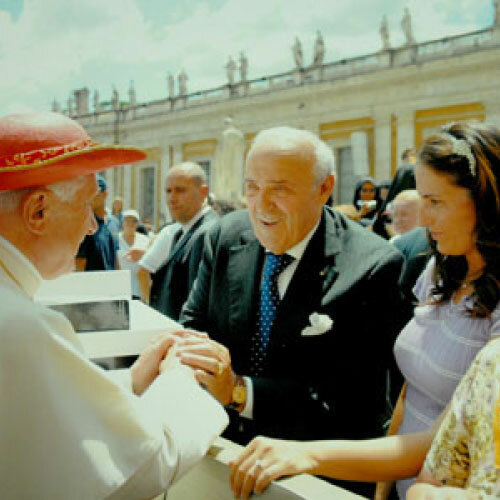 This is the extraordinary life of a person who has been working for over 50 years and has received various honours: in 2003 he was made a Cavaliere del Lavoro (Knight of the Order of Merit for Labour) by the President of the Italian Republic. 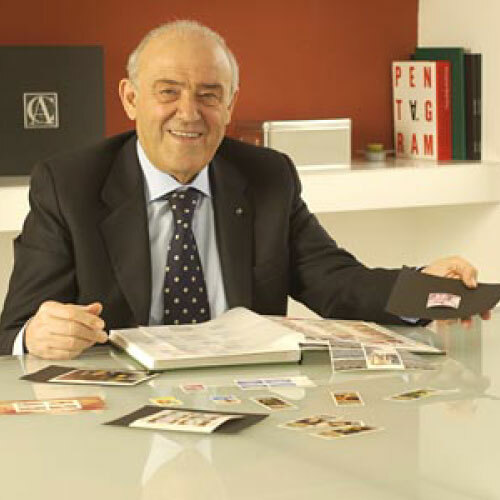 Hard work and the ability to create jobs; successful management of the firm and contribution to the development of the territory in which it operates; boosting the prestige of Italy on international markets through a business style expressing the finest qualities of Italian entrepreneurs: this is the meaning of the distinguished honour conferred on Arnaldo Caprai. Cookies are used to improve the services we offer and to optimize the user experience . Continuing navigation without changing your browser settings , you agree to receive all cookies CAPRAI website.